WIN a 5 Person Tent from Wenzel Tent & Gear Co.
Have you tried tent camping with your kids? Amber at Viva Veltoro has gone a couple times this summer and had a blast in their new tent from Wenzel Tent & Gear Co! She’s sharing all about why you should take your kids tent camping. 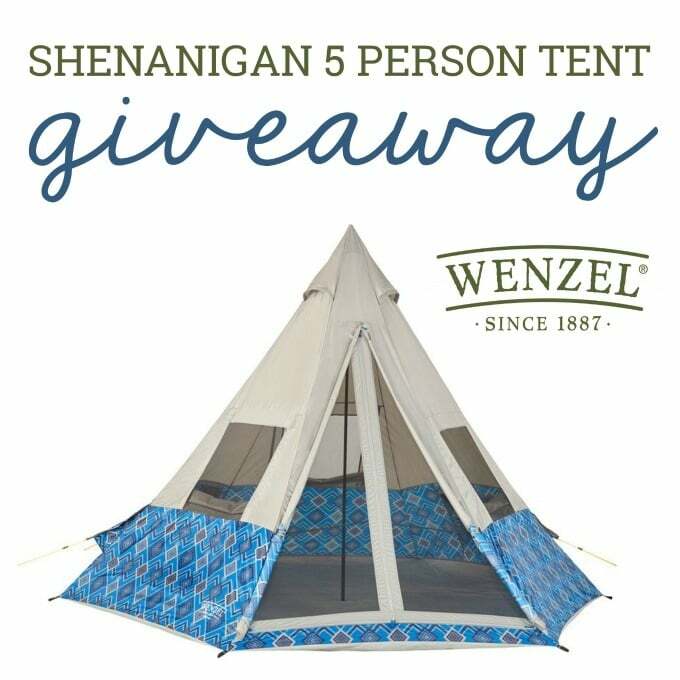 I’ve partnered with Viva Veltoro to give one lucky reader a chance to take home the Shenanigan 5 Person Tent from Wenzel Tent & Gear Co! Enter using the Giveaway Tools form below. Made for weekend warriors and trendsetters alike! The Shenanigan 5 is here to spruce up the camp vibes with two cool new patterns without compromising functionality. Easy 1 pole setup with fast feet make for a quick set up so you never miss a beat. 3 rollback window flaps and a hi-low ventilation system with roof vents that will keep the air flowing on after a night of summer fun. Open to the US only, ages 18 and up. Ends 9/20/18 at 11:59 PM EST. Disclosure: One winner will be randomly selected using the Giveaway Tools random selector. Winner will be notified via email. Once notified, the winner will have 48 hours to respond or a new winner will be chosen. This giveaway is in no way associated with Facebook, Twitter, Instagram, Pinterest or Google. Viva Veltoro and Thrifty Nifty Mommy are not responsible for prize fulfillment. Void where prohibited. This would result in REAL togetherness!!! That’s needed in a Family. Camping with the kids develops life-long memories of happy family times! I know because I was blessed with parents that took me camping.